The AX Engineered UHF CB Radio Mounting Bracket is custom designed for the Volkswagen Amarok. 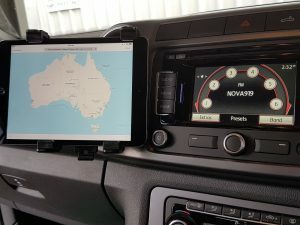 The bracket connects to the multi attachment point on the Amarok. The multi attachment bracket included with this product can be used to mount a number of other accessories including cup holders, tablet holders and phone holders.